With the cold, gloomy weather in Toronto, we’re naturally keeping cozy with delicious warm drinks. Wellness lattes are becoming a popular drink of choice lately, and many health food restaurants and cafes are now selling a wide array of warm superfood drinks. Chaga hot chocolate, turmeric golden milk, and matcha lattes are all really popular, but we at Living Kitchen love to experiment with new flavours. A while back, I was on Pinterest and came across this recipe for a rose and earl grey latte, and was inspired to make a wellness latte based around these flavours. Valentine’s Day is today and the combination of these flavours matches this holiday perfectly! After loads of testing, I finally developed a delicious, fragrant recipe for a Rose, Cardamom, and Earl Grey latte. If you’ve ever had a London Fog, you’ll love this healthy and soothing alternative! Earl grey tea contains bergamot, a citrus oil which is known for its uplifting properties. A 2014 study on 58 hospice patients showed that all participants who simply applied a blend of oil containing bergamot to their hands reported less pain and a decrease in depression symptoms. Every single patient reported this! Bergamot is also known to reduce stress and anxiety. Cardamom, another main flavour in this latte, is believed to also contain anti-depressive properties. It is also known to prevent bad breath as well as infections of the throat and mouth and mouth ulcers. It also contains antioxidant and anti-inflammatory properties. Rose, the last main flavour in this latte, has several health benefits. The compounds found in roses are the reason behind this flower’s anti-depressive and anti-anxiety properties. It carries a plethora of health benefits; it is antiseptic and antiviral, helps to treat menstrual cramps, and is also a very well-known aphrodisiac. 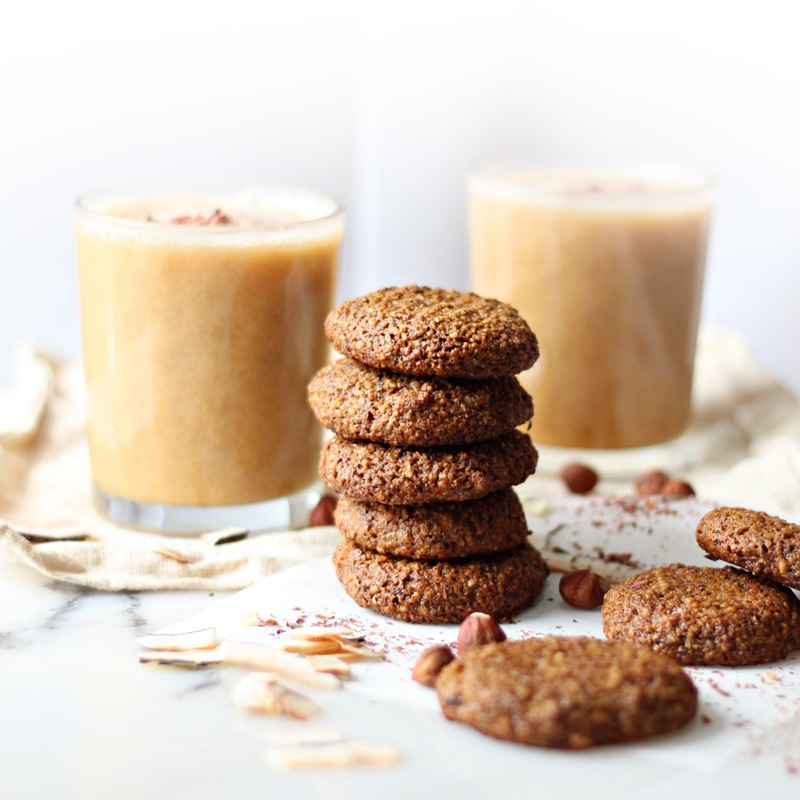 This wellness latte is refined sugar free and vegan, so that everybody can enjoy it. It’s incredibly soothing, and is the perfect Valentine’s Day drink! Whip one up for yourself or special someone today! 1. Combine the rose petals, maple syrup, cardamom pods and water in a small saucepan. Bring to a boil, then reduce heat to low and simmer very gently for 20 minutes, until reduced by about 1/3. Strain liquid into a container, pressing the rose petals against the strainer to extract as much syrup and release their colour as much as possible. 2. If using the dates, pour syrup back into the saucepan and add the dates. Bring to a boil, reduce heat to medium low, and simmer for an additional 7-10 minutes, until dates are very soft and begin to fall apart. Remove from heat and pass the mixture through a fine sieve, pressing the softened dates through with the back of a spoon. 3. Add rosewater if desired. 1. Bring 1 cup of water to a boil and steep the tea for 2-5 minutes, depending on how strong you like your tea. 2. Heat the milk to just below a simmer over the stove and use a whisk or milk frother to develop a layer of foam if desired. 3. Pour 1 ½ tbsp of rose syrup into a mug. Fill the mug halfway with the steeped tea and top with the hot, frothy milk. Garnish with crushed rose petals and enjoy!